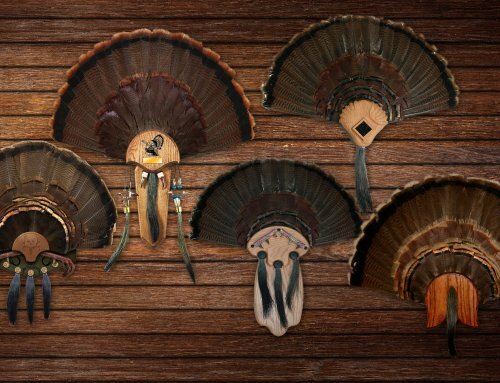 Have you hung up your waders and retired the decoys for the season? I hope not! There is still season left and now is the time to be out hunting when most others have called it a year. Lakes, ponds and smaller streams are largely frozen and the remaining geese are forced to use available open water to roost, which in Iowa means rivers; something that we are in no shortage of. If field hunting is not an option, look to rivers for late season honkers. By now most species of waterfowl are happily courting in their wintering grounds further south. Geese have largely reached their wintering grounds as well but they are hardier than most other fowl and we are fortunate that they will stick around through the nastiest of weather, so long as they have food and open water to roost. Aside from field hunting, river hunting is about the only option unless you have access to an aerated pond or somehow found a bit of open water on a lake. Hunting rivers for honkers during the late season can be packed with reward for the patient and observant hunter. What typically goes on in the daily life of a goose during late season? The answer is largely uniform but varies in complexity depending upon weather conditions. The following pattern is not gospel by any means but can largely be expected under most seasonal circumstances. Geese will roost during the night, often in the same spot or general area for a period of time so long as it suits their needs or they are not pushed out. In the late morning, geese will then venture out to feed. Some will take flight earlier and trade about, joining up with other geese along other parts of the river before they make their feeding mission. After feeding some geese will return to the spot where they roosted while others will seek out loafing areas to spend the day. Some traffic will occur to and from loafing areas to roosting areas throughout the day as well. Sometimes when the weather gets nasty, geese will venture to feed throughout the day, trading back and forth between roosting and feeding areas. When geese are on a twice-a-day feeding schedule (morning and evening), they will most often seek out their usual roost after the evening feed to spend the night. It is important for hunters to make note of roosting areas and not hunt them to keep birds in the area for future hunting opportunities. If I preach this once, I preach this a thousand times, scouting is everything. Geese during this time of year become less spread out and their roosts and loafing areas are more localized to specific spots. You want to be where they want to be. Scouting smaller rivers can be tough especially when areas of river cannot be observed from the road, or when navigation on the river by boat is impossible. To aid in this, use traditional maps or digital maps like Google Maps before you venture out to scout and form a game plan to travel and observe. When the weather is rather mild, focus scouting efforts around river islands and areas where the river is straight and open with lots of sandbars. This also offers the scouter the convenience of observing a large span of river from a single location. When the weather turns nasty or very cold, look to places where the geese can seek refuge from wind and weather. These areas might include a sandbar on a bend that offers shelter from Northwest winds, or maybe even the backsides of islands. Another way to scout is to head out after sunrise and slowly comb roads adjacent to the river. Stop and get out every now and then and listen. Geese are vocal creatures and although they may not be visible they can sometimes be heard in this instance. Also look for flocks getting up to feed or trade about and make note of where they rose from and at what time. Even better yet, observe the birds late in the morning after they have fed and return to the river and also note what time they are doing so. They will tell you when and where they want to be. You Scouted Birds, Now What? You found a group of birds using a specific location and have developed access to the river whether it be public access or permission through private land. Lucky for you this style of hunting does not have to be a 5 a.m. venture. Most commonly geese are encountered coming back to the river from feeding between 7:30-10:00 in the morning and you want to be set up and waiting for them. It doesn’t hurt anything to set up in the dark but a word of caution, you do NOT want to go in and spook those birds from their roost or loafing area at any cost. 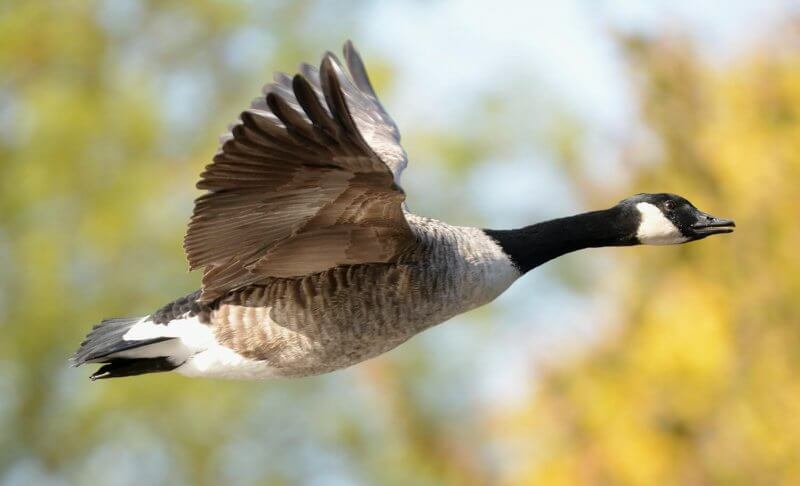 Unlike ducks, geese are more prone to finding a different location on the river if they are spooked off. It will take some patience but wait for the geese to go feed around mid-morning and then go in and set up and prepare for their return. Let’s say you found some geese but access to their location is either unattainable or they are using an area that is off limits to hunting. Don’t get discouraged. Try to find an area in the vicinity where you can set up and try to coax a few birds in on their return from feeding. The best way to do this is to intercept their flight by setting up between their roost and where they are flying to feed. This can also be a great tactic if the weather is bad or there is an approaching storm as the local birds or maybe even some new birds that pushed in will be looking for a safe place to set down. This tactic may not be fast paced action but it is a great way to get out and try for a few more birds before the season is over. I will bet you that almost nobody is hunting this way in your area so pressure on the birds should be light. Decoys are undoubtedly a key component to late season goose hunting. The shape of the spread or number of decoys doesn’t matter as much as being in the right location. 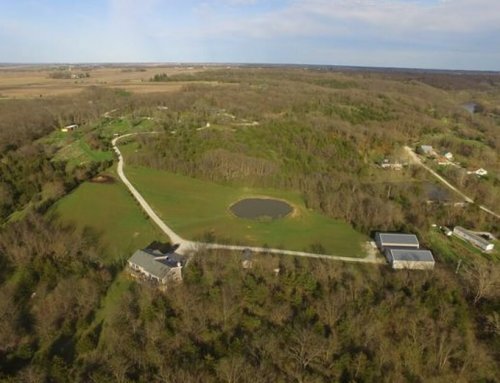 A big spread of decoys is always beneficial but that isn’t always feasible or practical. 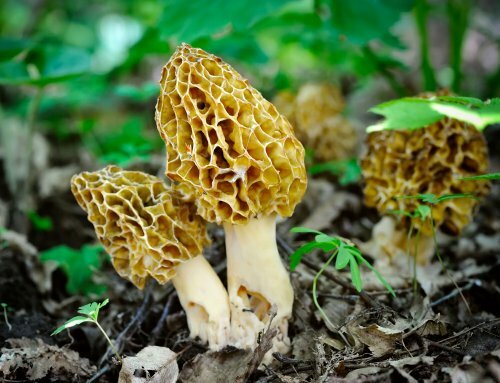 If you or your hunting buddies have the equipment and means of transporting everything to the hunting location, putting out a huge spread can really pay off. By huge spread I am talking five to ten dozen, maybe more. If you ever watch late season geese you will notice that they often congregate in large groups. 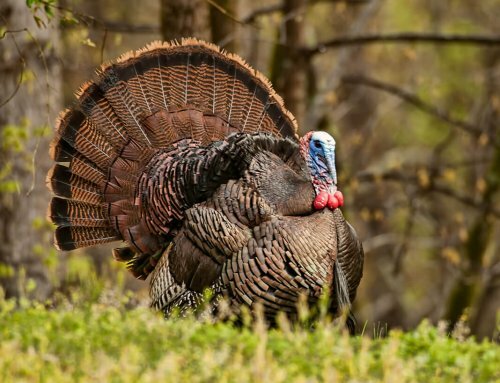 A big spread can be especially beneficial for coaxing in stale local birds or in the odd chance that competition from other hunters in the area is higher than normal. In this type of spread I like to combo with floaters and shells or fullbodies, placing some in the water and the field decoys along the bank or on the edge of an ice sheet. Sleeper style decoys can really work magic in this type of spread. Be sure to leave a landing hole in the water and pack the decoys on the shore or ice tightly together for the most part using more sleepers and shells than anything else. If decoys are limited or access to the area you scouted must be done on foot then there is nothing wrong with packing in light with a small spread. Loafing geese during mid-day periods are often in smaller groups than when they are roosting and don’t always require a big spread to pull them in. It’s still wise to combo with some floaters in the river and field decoys on the bank or ice but the key here is being visible to the birds from a distance. 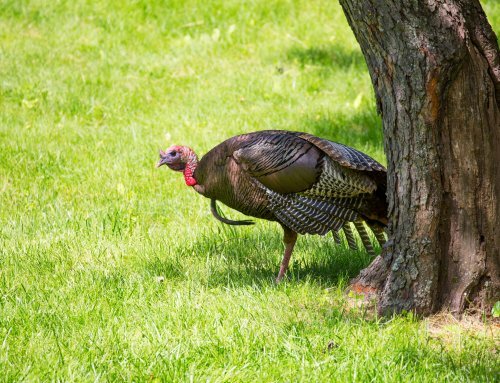 Establish a good hide for the shooters and keep the decoys in a high profile area. Stackable shell decoys are great for this style of hunting because they pack easier and look great when placed on the ice at the edge of the water. This type of spread can be great for catching roaming singles or pairs looking to relax after a morning feed. Hunting this time of year for the observant and determined goose hunter can be packed with reward. Use good scouting techniques and let the geese tell you where they want to be. Late season can be one of the best opportunities of the entire season to hunt geese and rivers offer a spectacular chance to hunt where others are not. Brave the cold, find some birds and get out before the season ends!